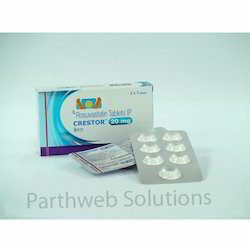 We deal in Crestor - Rosuvastatin Tablets. 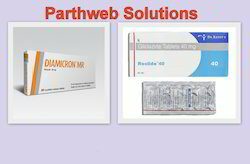 We are an exporter of Crestor - Rosuvastatin Tablets. We mainly deal in USA, UK, Australia, Japan, Russia. To meet the set industry standard, we are extremely engaged in offering a premium quality Crestor, Rosuvastatin Tablets. This tablet is processed by pharmaceutical experts using superb quality ingredients at our end following the medical norms. The given tablet works by reducing the amount of cholesterol made by the liver. Our offered tablet is used together with diet, weight-loss, and exercise to reduce the risk of heart.